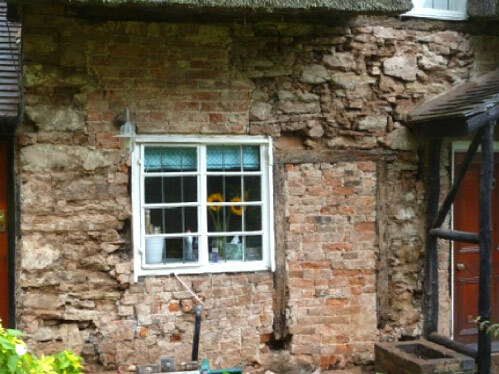 Major structural timber repairs to frame. Applying 3 coats of hair lime plaster. Applying 6 coats of chosen lime wash.
Chillington is a village in Staffordshire, England which is home to the cottage Norman & Underwood have provided restoration work. The cottage is currently being rented out to families for long term rent. Over the moon! a great job ,thank you very much. (You must meet with the Bishop of Peterborough). I was very pleased with the result of the paintworks. It is a very thorough job and I would like to commend everyone involved.